Algal Oil is an Omega 3 rich health supplement made from micro-algae such as marine phytoplankton. While these alga’s traditionally grow in the open ocean, algal oil producers use specialist growing facilities, and carefully selected strain with high phospholipid content. The result is then compressed to release the naturally occurring oil from the algae’s cell walls. We believe that algae oil supplements are the healthiest, most sustainable source of long chain Omega 3 fatty acids on the planet. Why Choose Algae Oil Supplements? As our oceans become increasingly polluted, the immense health benefits of Algal oil are going to become crucial to the human food chain. For centuries, traditional societies whose diets include a healthy percentage of cold water fish have demonstrated high levels of health and well-being, and particularly longevity. In recent years, scientific studies have verified this, to the point that the Omega supplement business is now a billion dollar industry. But while demand for high-quality EPA and DHA oil has risen steadily, the ability of our oceans to match demand is dwindling. Added to which the increasing levels of toxicity in our marine life are bringing increasing doubt to the safety of fish oils. Into this mix, the Algal industry is booming. Algae is a catch all term for a diverse range of plants which photosynthesize energy from the sun. All Algae and Algal Oils are both vegetarian and vegan, and a fantastic addition to the well-being of vegetarians who traditionally have had no source of long chain EPA oil. Studies show that vegans are traditionally deficient in these essential oils. Doe Algae Oil Supplements Contain EPA? Certain strains of Algae contain vast quantities of Docosahexaenoic Acid (DHA), one of the essential oils for brain health and particularly infant brain development, hence its presence in breast milk. Some recent studies have shown promise in Alzheimer’s treatment using DHA, furthering the evidence that supplemental DHA offers tremendous benefits to the mammalian brain – hardly surprising when we consider that half the fats in our brains are naturally comprised of DHA anyway! While many people cite the possibility for the body to get its DHA by converting the short tail fatty acids found in oily seeds like flax (linseed), the truth of the matter is the body cannot efficiently convert ALA into either EPA or DHA. It can convert EPA in small amounts, but studies suggest that DHA conversion is minimal. Algae, on the other hand, contains high levels of naturally occurring DHA, which is why the food and natural health supplement industry is beginning to get behind it as a dominant source of human nutrition. Where does Algal Oil Originate? Marine Algae, like phytoplankton, are well suited to growing in laboratory conditions, required mostly a saline solution to mimic the ocean and the right amount of sunlight. Large scale growing environments (known as bioreactors) were initially developed to cater for the interest the biofuel industry but work just as effectively for growing Algae as a commodity. With intricate loops of glass tubing, these bioreactors are designed to reproduce the precise conditions which cause Algae to bloom. In these optimum conditions, Algae have a rapid life cycle, which not only makes them ideal as a food crop but makes them easy to refine, via isolating strains with particular properties. 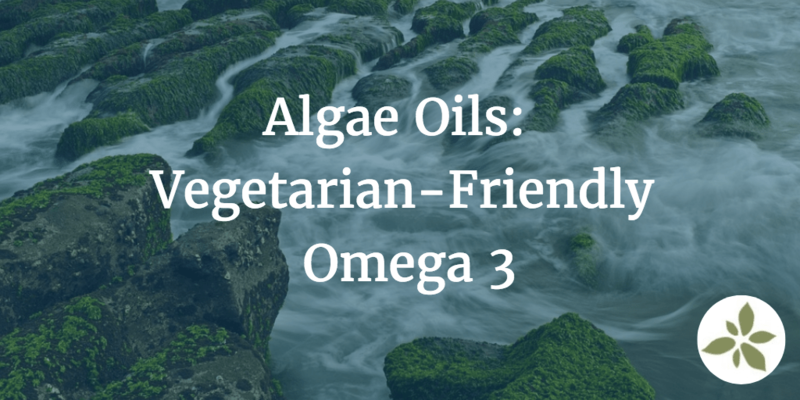 Sourced from Algae, Algal Oil is a vital Omega 3 source. Algal Oil is found in fish, but it is originally sourced from Algae and it typically not contained within cold water fish groups. What are the Advantages of Algae Oil? Because Algae is a diverse group of organisms, this question is vague. The right Algae strains, produced correctly, are extremely healthy and one of the most beneficial things humans can use to boost health and wellness. Algae production is still relatively new to the food chain, but this is the most exciting plant medicine in the world and has come at the right time, as humanity struggles to replace some of the health-giving benefits the oceans once offered us. How is Algae Oil Extracted? Extracting oil efficiently from microalgae is a complicated process, especially to preserve the natural cellular integrity of the plant. It is both labour intensive and quite a delicate process when done correctly. Scientists are experimenting with a type of enzymatic extraction, but the standard methods used in the supplement industry are expeller pressing, the use of solvents such as chloroform-methanol, and homogenization. What’s the Ideal dose of Algal Oil? Dosage would depend hugely on the particular product you’re taking, its concentration and purity. As a guideline, 1-2g per day should be sufficient to elevate your EPA and DHA levels. An individual’s health is the best indicator of how much to ingest, so our suggestion is to start low, raise your dose slowly and monitor how it makes you feel. Is Algae DHA as good as that in Fish or Krill Oil? Since algal oil is a relatively new product, much more testing needs to be done on how it stands up against conventional fish oil in terms of the amount of DHA offered, and its bioavailability. Right now the market for algal oil is predominantly comprised of vegans and vegetarians so this is largely a moot question, but this is going to change as omnivores become sceptical about the toxicity of marine-based products such as fish. The fundamental point, however, is that algal oil does offer a vegan source of DHA that can be grown in a completely controlled and safe environment. Additionally, algae contains potent antioxidants that offer benefits in their own right so our feeling is that algal is a far safer, more healthful choice at this time. Some health professionals continue to advocate krill oil over either algae or fish oil, simply because it’s omega-3’s come in the form of phospholipids which are more easily absorbed than the triglyceride form found in algae and fish. Where to Buy Algae Oil Supplements? Algal Oil is now widely available online and in your local healthfood store. Our suggestion, however, is to be judicious about the brand you select. Algal is a delicate organism so the processing conditions are crucial to ensure that the end product comes in a condition available for optimum absorption. We are also passionate about marine phytoplankton in its pure wholefood form, which you can buy here.